HCBS is a service delivery model that allows for tremendous flexibility and creativity but it may require us to change the way we do business. 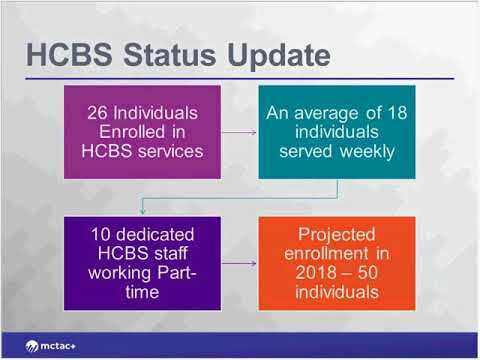 MCTAC+ offered a webinar during which a panel of adult HCBS providers across NYS shared their experiences with HCBS service implementation. The panel discussed overcoming challenges to implementation, tools for outreach to peers and care managers, and staffing HCBS services.